March 25, 2019 – Addis Ababa, Ethiopia: The African Union Commission’s Commissioner for Rural Economy and Agriculture, H.E Amb. 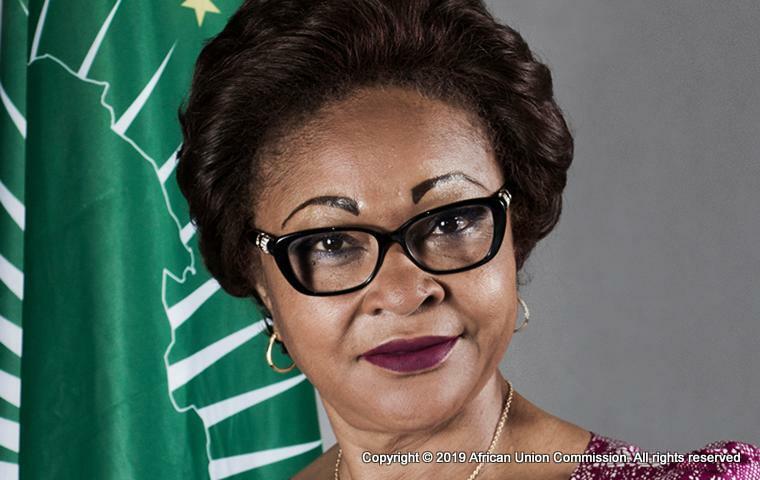 Josefa Sacko has been named one of the 100 Most Influential People in Climate Policy 2019 by Apolitical, a peer-to-peer learning platform for governments for her efforts towards influencing climate policy on the continent. “At a time when young people everywhere are marching to demand action on climate, it's more important than ever to celebrate and support those with the most power to act: the people influencing policy. This global list celebrates politicians, civil servants, academics and activists. Those recognised include high-profile advocates whose work is indispensable to raising awareness and demanding change. Others are rising stars who are making their mark in local communities and are a driving force behind governmental progress,” stated Apolitical during the announcement. H.E. Amb. Josefa Leonel Correia Sacko, an Angolan national, is a leading African Agronomist. Prior to her election as Commissioner for Rural Economy and Agriculture, she was the Special Adviser to two Ministers in Angola, the Angolan Minister of Environment where she served as Goodwill Ambassador responsible for Climate Change; and advisor to the Minister of Agriculture; where she oversaw Food Security, Eradication of Hunger and Poverty Reduction. She also served as Secretary General of the Inter African Coffee Organization (IACO) for 13 years in Cote D’Ivoire where she represented 25 African Coffee producing countries.